The Most Venerable Khenpo Sangpo Rinpoche has from childhood felt a special connection with Chenrezig (Avalokiteshvara, the Buddha of compassion) and Guru Rinpoche (Padmasambhava). As a young boy, he was recognized by HH Dilgo Khyentse Rinpoche as the 5th reincarnation of Gonzi Rinpoche. From the age of seven, he started studying a wide range of Buddhist treatises. He then entered The Dzogchen Five Knowledge Buddhist Institute to receive the supreme lineage of Nyingma teachings and traditions under the supervision of many accomplished and renowned masters, such as his root master HH Dzogchen Padma Kalsang Rinpoche, Padma Tsewan Rinpoche and Khenpo Dhazer. He obtained the honorable Khenpo degree with the very highest possible result (equivalent to a doctorate in Buddhist philosophy) in the short time of eight years, completing his studies with four years in retreat. He continued to teach as a professor at The Dzogchen Five Knowledge Buddhist Institute before being invited to teach at the famous Samye Monastery. The Samye Monastery was constructed by King Trisong Detsen and Guru Rinpoche in the 8th century and was Tibet’s first and oldest Buddhist monastery. 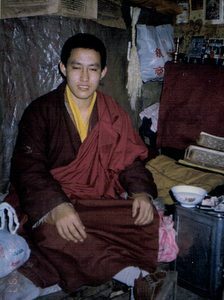 Rinpoche was only 23 years old at that time. He taught as a vajra master at Samye Monastery for three years. Today, Rinpoche is a compassionate and accomplished Dzogchen master. He has established centers in Taiwan, Malaysia, and China, and has been invited to teach regularly in several countries, including Singapore, Japan, Nepal, Germany, UK, Denmark, Spain, Sweden, and Norway. Rinpoche is tirelessly in his efforts to benefit people all over the world. 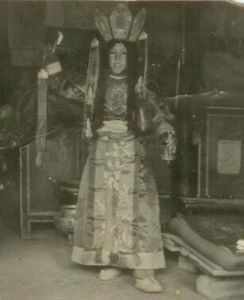 Rinpoche at the age of eight. 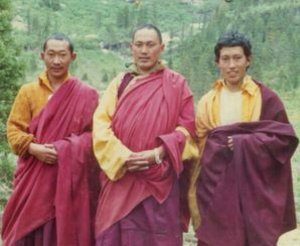 Rinpoche during four year retreat. Rinpoche just out of retreat.